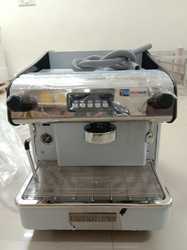 Leading Importer of expobar coffee machine, coffee beans grinder, rancilio coffee machine, cappuccino coffee machine, coffee grinder and la cimbali coffee machine from New Delhi. 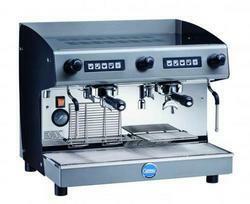 Inbuilt volumetric pump, Push Button coffee delivery. 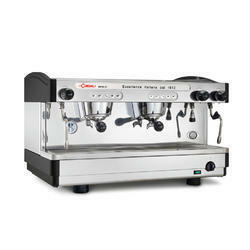 One hot water nozzle with push-button operation. 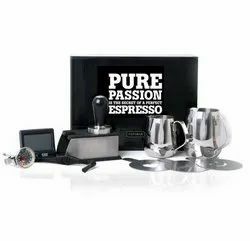 Kit for pods, water mixer and manual milk frother upon request. Special tall-cup version upon request, to use 135 mm tall cups. 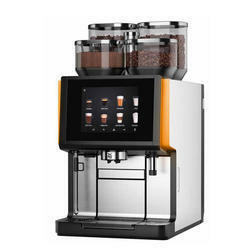 We are leading manufacturer and supplier of Coffee Beans Grinder and our product is made up of good quality. 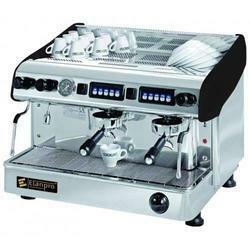 This espresso machine, with 12 litre copper boiler features two group heads, a single steam wand, one manual hot water tap and an element protection alarm. 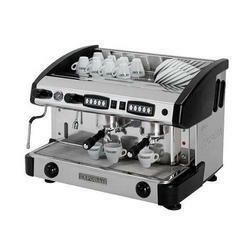 The Expobar Monroc is a semi-automatic machine with built-in pump and electric motor. 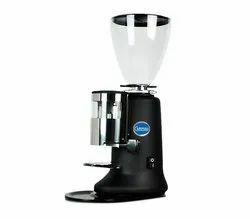 Durable and unbreakable hopper .Food grade hardened tooling steel grindstonesStepless adjustment for accurate grinding4 optional colors: Black Red Silver and whiteManual or Automatic control. 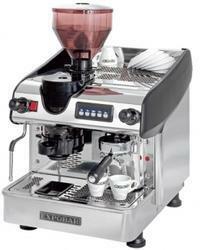 Expobar had pieced together what’s necessary for every aspiring barista with the Expobar Barista Kit. 2 milk pitchers (350ml and 600ml). 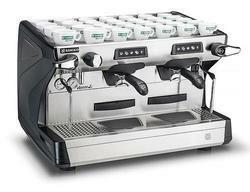 Tamper with stand (Diameter 58mm). A set of stencils (Heart, smile and “expobar”).